Francis Alÿs, the multi-disciplinary artist, will have a discussion with Stephan Pascher, artist and instructor at the School of Art, in a free, public event as part of the Interdisciplinary Seminar. 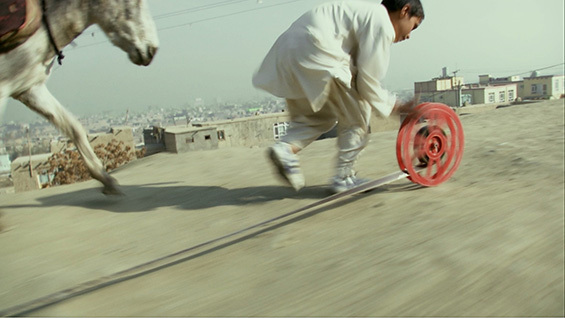 Francis Alÿs’s multifaceted actions and works occupy a unique position within the contemporary art world. Widely known for his distinct and poetic sensibility towards social and geopolitical issues, the artist has described his practice as, “a sort of discursive argument composed of episodes, metaphors, or parables.” The artist’s numerous projects have involved pushing a melting block of ice through the streets of Mexico City, circumnavigating the globe in order to avoid crossing the border between Mexico and the United States, walking through Copenhagen under the influence of a different drug each day for a week, filming his attempts to penetrate the eye of a tornado, videographing a group of boys unrolling then rewinding a film reel across the hills of Kabul, asking 500 volunteers to move a sand dune on the outskirts of Lima about one inch, and trailing a line of green paint while walking for two days along the 1948 cease-fire line between Israel and Jordan. We will discuss recent projects in Gibraltar, Afghanistan, Ciudad Juarez and St Petersburg. Born in 1959 in Antwerp, Belgium, Francis Alÿs originally trained as an architect. He moved to Mexico City in 1986, where he continues to live and work, and it was the confrontation with issues of urbanization and social unrest in his country of adoption that inspired his decision to become a visual artist. Since 2004, his work has been represented by David Zwirner, where he had his critically acclaimed solo exhibition, Sometimes Doing Something Poetic Can Become Political and Sometimes Doing Something Political Can Become Poetic , in 2007. Alÿs was recently the subject of a major survey, Francis Alÿs: A Story of Deception , which was on view from 2010 to 2011 at the Tate Modern, London; Wiels Centre d’Art Contemporain, Brussels; and The Museum of Modern Art, New York, and MoMA PS1, Long Island City, New York.